River Forest is a suburban village in Cook County. According to the 2010 census the population was 11,172. The village is bordered by Elmwood Park, on the north, Oak Park on the east, Forest Park on the south and Maywood on the west. The village has a wide variety of home styles including those by noted Prairie School architects. There are homes designed by William Drummond, H.C. Fiddelke, Purcell & Elmslie, E.E. Roberts, Robert Spencer, Tallmadge & Watson, John Van Bergen and Frank Lloyd Wright. Two universities make their home in River Forest, Dominican University and Concordia University. Complete appraisals of single family homes and condominiums start at $295.00. 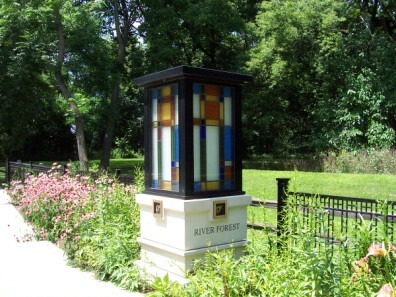 Citywide Services provides residential appraisal service in River Forest, Illinois 60305. Our appraisers are certified by the State of Illinois and listed on the FHA roster. We have experience with all types of residential property and appraise single family homes, townhouses, condominiums as well as small residential income properties. Appraisals for conventional or FHA loans, divorce, bankruptcy, tax appeals, bail bonds and estate purposes. When you need to find an appraiser in Cook County contact Citywide.